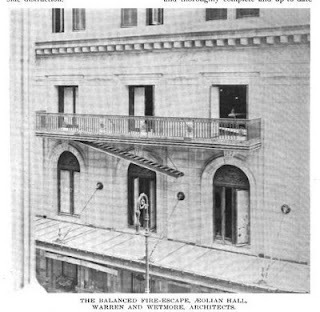 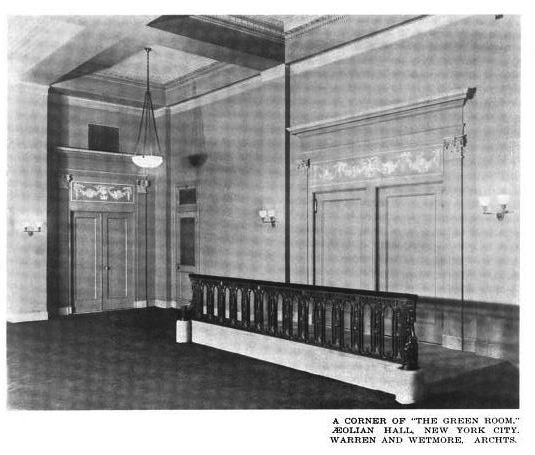 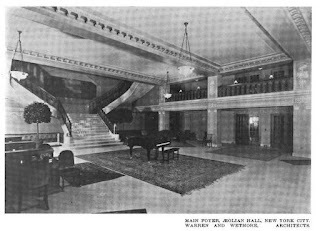 Aeolian Hall at the Aeolian Building designed by Warren & Wetmore c. 1912 at 33 West 42nd Street in New York City. 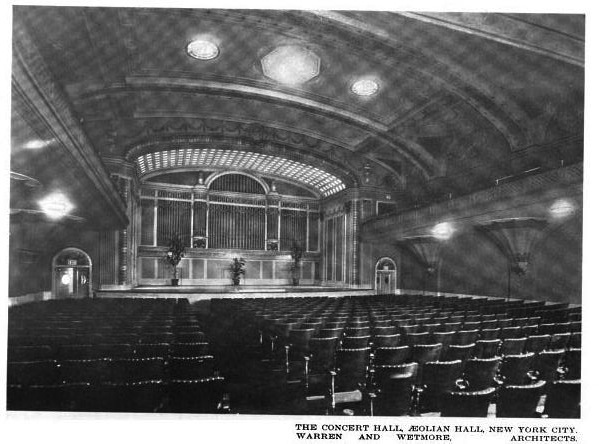 The building housed the Aeolian Company, manufacturer of pianos and organs, and the hall was built to seat 1,100 people and hosted a variety of concerts. 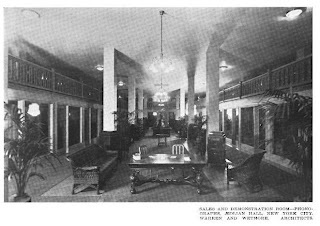 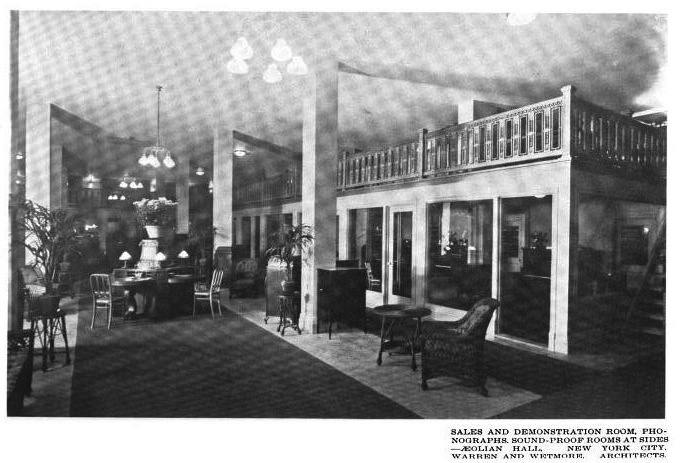 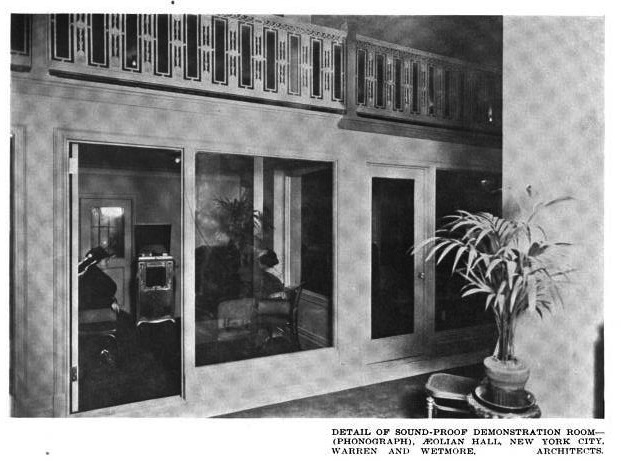 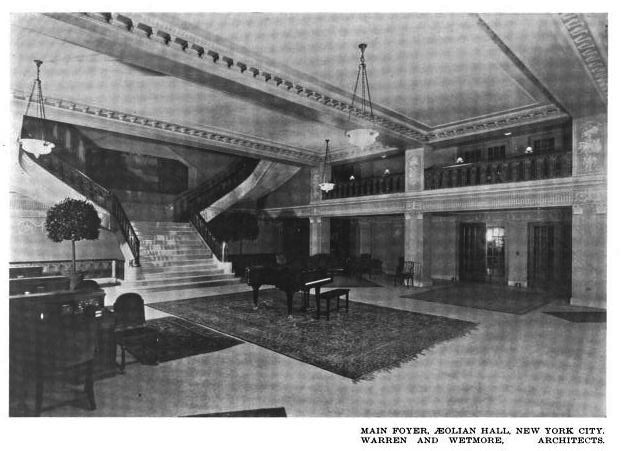 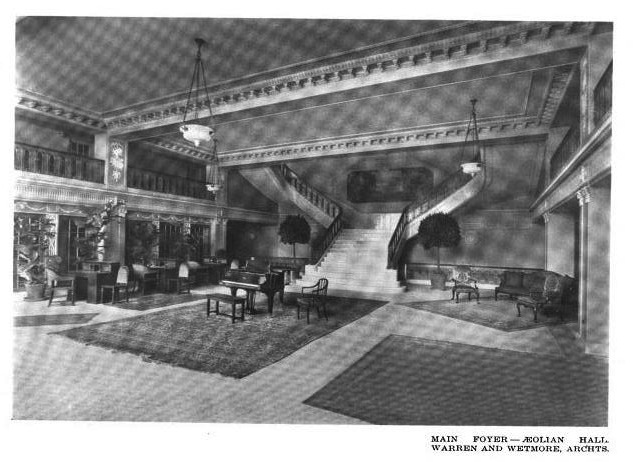 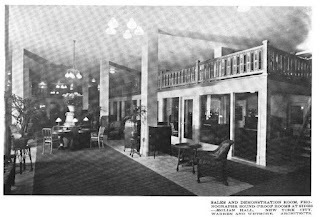 Aeolian sold the building to the Schulte Cigar Stores Company in 1924 and hired Warren & Wetmore to design a new headquarters at 689 Fifth Avenue which was completed in 1927. 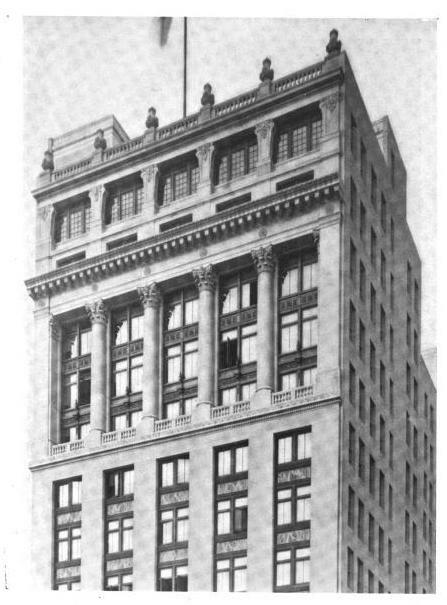 This building is now home to the State University College of Optometry. 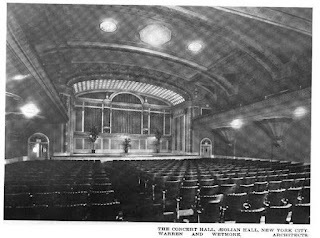 Click HERE for more on Aeolian Hall and HERE for Christopher Gray's Streetscapes column on the building. Click HERE to see the building on google streetview. 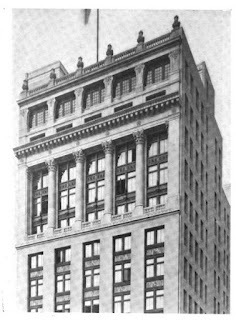 Handsome enough buildng---but don't you ever wish one of those companies had just let loose and had one of the wilder firms, like Warren & Wetmore, just design a building that looked like a big ole pipe organ?